The Hartford Side Table carries all the markings of its companions in the award-winning Hartford Collection. 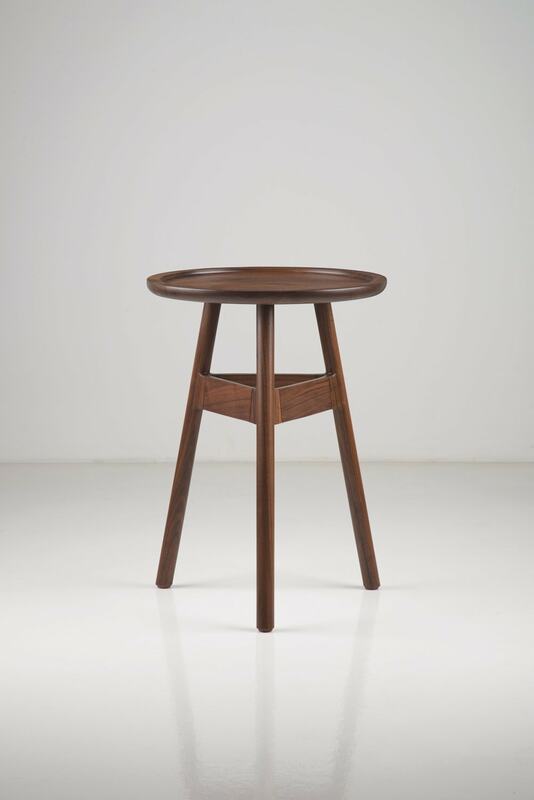 Visible joinery is prominent in each piece, and the Hartford Side Table’s best example is seen in the through tenons that rest flush with the tabletop. Distinguished from most other Moser pieces by the absence of a wedge in the tenon, which requires greater precision, this piece affords a more contemporary take on the traditional joint. 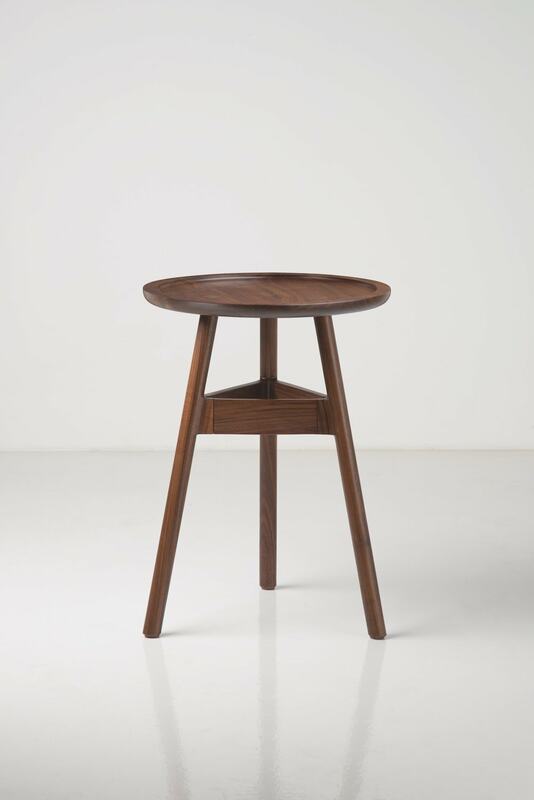 The Hartford Side Table is crafted from sustainably harvested North American hardwood and borrows its simplicity from traditional Shaker designs, and its light, contemporary profile from Danish minimalism. The through tenons in the Hartford Side Table are slightly larger than the opening they occupy. This consideration ensures a secure fit that compensates for variations in temperature and humidity. Atmospheric changes will not compromise the table’s durable structure. 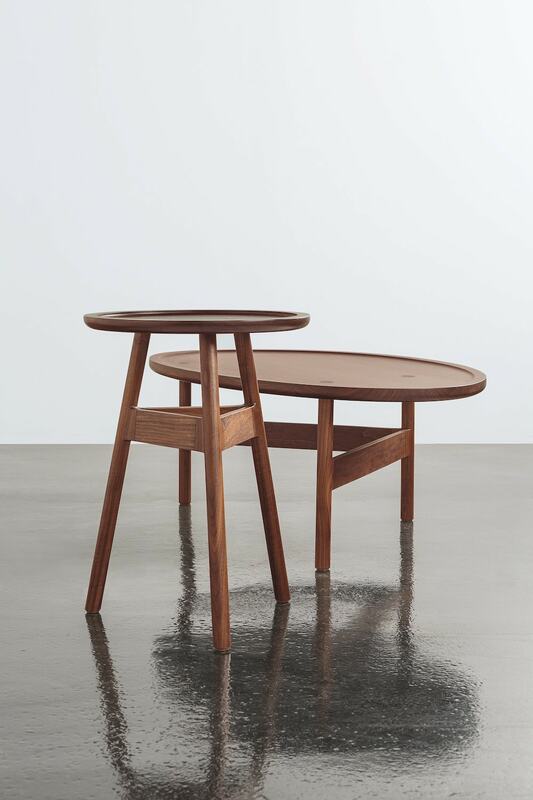 With three turned legs instead of the more common four, the table’s stability is augmented by three stretchers, with visible finger joints that secure the legs. Its unique design makes the Hartford Side Table both stable and visually engaging. The tabletop offers another distinctive feature, with a subtle recess surrounded by a functional lip. This is both for aesthetic reasons to break up the plane visually and also to serve a functional need, containing the items set on its surface. 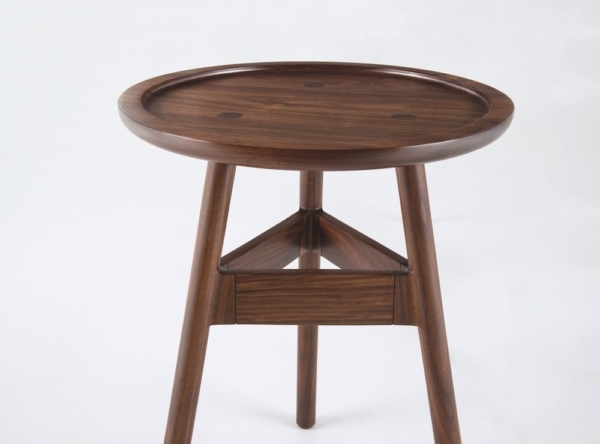 Crafted in walnut or cherry, the hand-finished top is a durable expanse that highlights the wood’s natural grain. Our advanced technology and machining capabilities have elevated what is possible in our craft. The design of this collection aims to embrace these capabilities and define ‘visible joinery’ in a new way with the collection’s hallmark joint. The joint occurs at many intersections throughout the collection and is the result of a solid or steam bent piece being turned and mortised on the 5-axis CNC machine – a part otherwise difficult and inefficient to create. The hairline reveal serves to amplify the subtly of the joint and draw attention to the intersection itself. On the Coffee Table, this joint is visible where the horizontal stretchers meet the vertical legs. The Hartford Side Table integrates well with both contemporary and traditional living ensembles. While it fits naturally with other pieces in the Hartford Collection, the table works in any eclectic arrangement.